Yes, I have been able to read for many years. But now I actually feel like a real reader. You know, someone who loses track of time when they find a great book. Or who can travel to far away places just by turning a few pages. I have never before understood this. I experienced a lot of counting how many pages there were until the end of the chapter. And not being able to sit still on the couch, bed, chair, or where ever to every feel like I ventured somewhere else. When asked "What book are you reading?" or "What is your favorite book?" or "Are you going to read the book before seeing the movie?" my standard response was "I don't read." But now I do! And I even attended my first book club meeting! 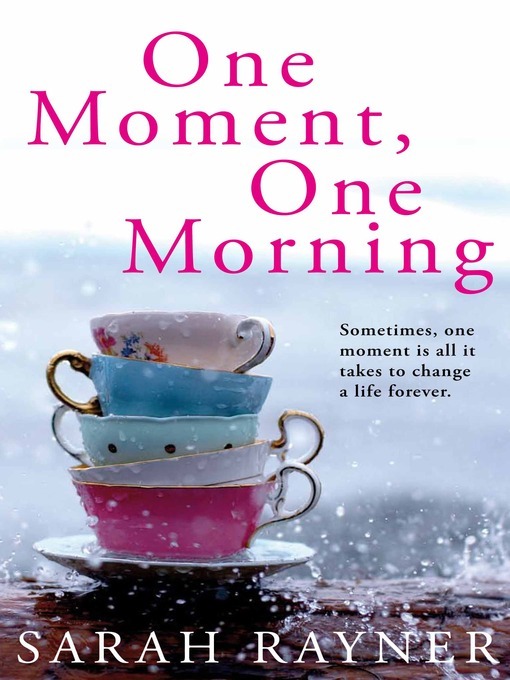 It is a fabulous book about how three women's lives become forever changed and intertwined in one moment. All three are on the same train when a man dies. One women witnesses the whole thing. One is annoyed at the delayed train, not fully knowing the circumstance. And one women is now a widow. It is an easy read (says the non-reader) and a wonderful story, despite the sad subject matter. Once I heard the premise of the book, I was a bit hesitant to dive in. My biggest fear is my husband dying, so this isn't exactly my number one pick for a 400 page book to cover. Yes, I made it through all 400 pages. I'm just as shocked as you are! But it wasn't as heart wrenching as I had feared. It showed that life will go on with support of others and happy memories to cherish forever. In a weird way it has made my biggest fear a little less scary by showing me that another women made it. I don't really feel like my little review rambling is doing it justice at all. So just go read it, if you are a reader that is!